I am excited to partner with Blue Harbor Fish Co. to bring you this recipe. While this post is sponsored, all thoughts and opinions are my own. Just like most people, I try to eat better once the new year comes. I focus on cleaner ingredients and making sure I make smart choices when making my meals. 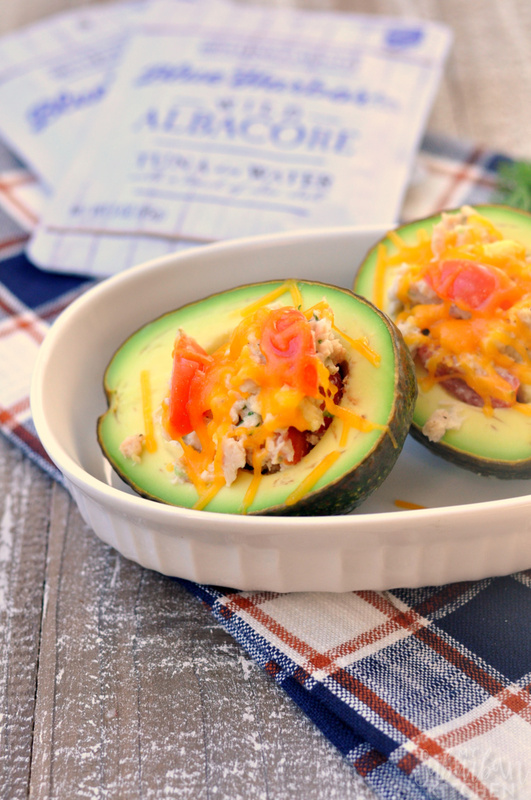 One of my favorite lunches is a tuna melt-stuffed avocado. 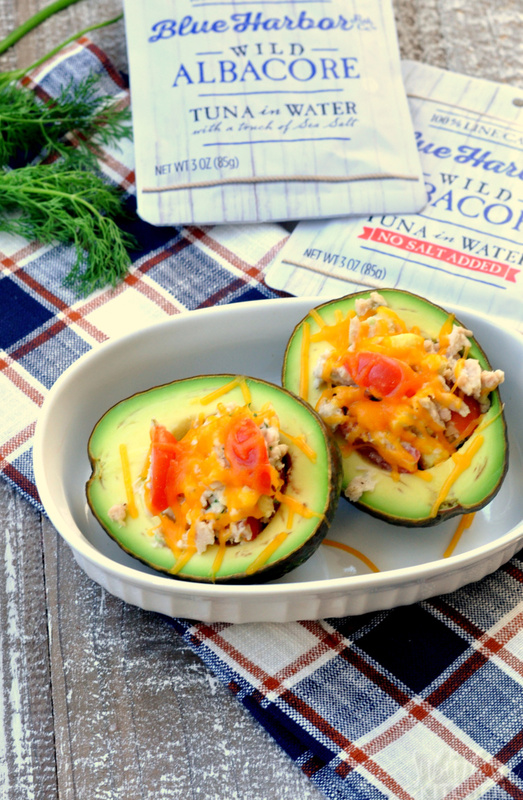 It has all the flavors of a classic tuna melt but the bread is replaced by a heart healthy avocado and I swap out the traditional mayonnaise for a mix of Greek yogurt and mashed avocado. 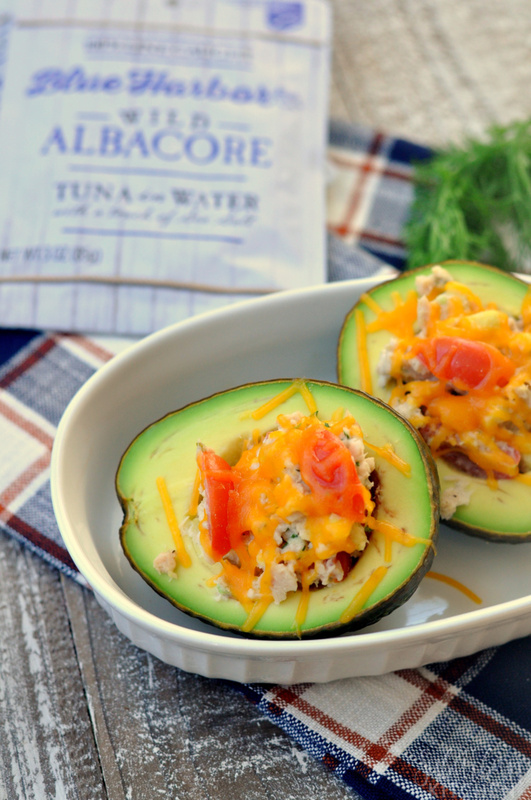 I always choose Blue Harbor Fish Co. wild Albacore tuna for my tuna melt stuffed avocado. The sea salt variety is my favorite because it has just the perfect hint of sea salt. Blue Harbor pouches combine sustainably-caught, wild Albacore tuna, water and a touch of sea salt (or no salt added if you choose) to let the fresh flavor of tuna shine through. Plus, Blue Harbor comes from Marine Stewardship Council (MSC) certified fisheries to help maintain the sustainability of the world’s fish stocks. 1. In medium bowl, combine tuna, yogurt, mashed avocado, mustard, salt and pepper. Stir in grape tomatoes. 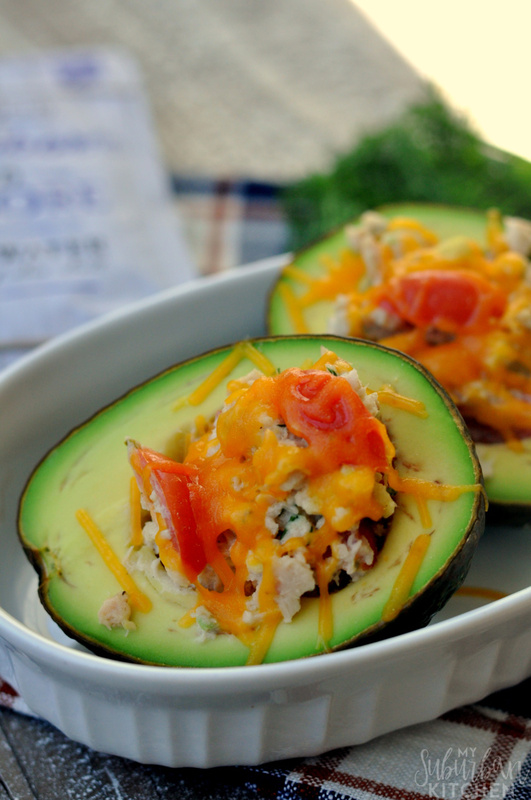 Spoon into avocado halves and top with cheese. 2. Place onto baking sheet and broil for 5 minutes or until cheese is melted. This makes the perfect quick and easy lunch. If you don’t have access to a broiler at lunch time, you can microwave it on low for 30-45 seconds to melt the cheese. 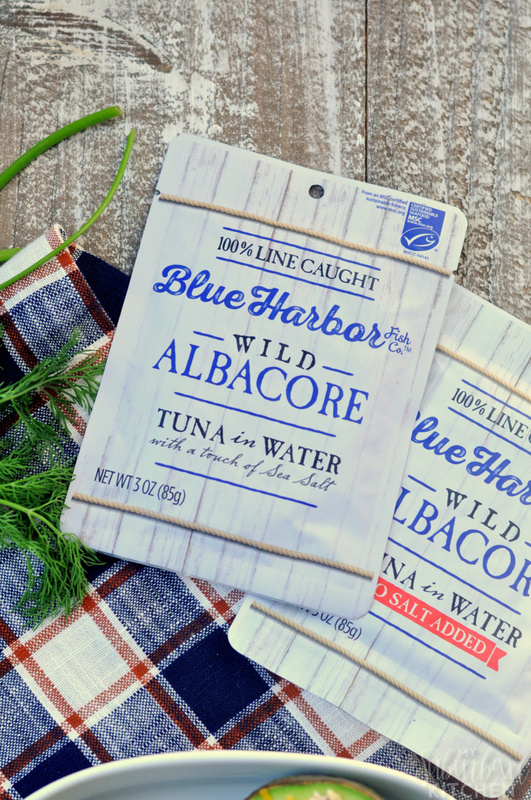 The Blue Harbor Fish Co. albacore tuna pouches are perfect for lunch on the go, too, because you don’t have to drain them. It is perfect for recipes or just to enjoy on its own. No matter how you eat the Blue Harbor wild, Albacore tuna, you can feel good about choosing a brand that is MSC certified and committed to sustainability! This is a sponsored post written by me on behalf of Blue Harbor Fish Co. It looks really good. I hope it also tastes good.